The Association of the U.S. Army Stuttgart chapter, in cooperation with U.S. Army Garrison Stuttgart’s Army Community Service, hosted its fourth annual AUSA Job Fair at the Marriott Hotel in Sindelfingen Feb. 17 and 18, 2012 AUSA is a private, non-profit educational organization with 125 chapters in nine countries. At this year’s job fair, AUSA showcased the recently launched Department of Defense Military Spouse Employment Partnership, a program designed to expand career opportunities for military spouses worldwide. Lillie Cannon, the MSEP manager, was on hand to explain the program benefits and types of skills companies are looking for. MSEP recruits companies that need employees with the types of certificates and licenses that military spouses seek through the Military Spouse Career Advancement Accounts, according to Cannon. MyCAA, a component of DOD’s Spouse Education and Career Opportunities program, is a career development and employment assistance program that provides up to $4,000 in tuition assistance to eligible spouses who need professional credentials to meet their career goals. “Currently we have 95 companies that have signed a statement of support with the Department of Defense, saying they’ll make every effort to hire military spouses,” Cannon said. To date, these companies have hired over 121,000 military spouses in health care, medicine, education, law, and in technical and administrative jobs, according to Cannon. “The great thing about this partnership is that our companies understand how important it is for spouses to have their careers,” Cannon said. “So, as that spouse relocates with his or her service member, the company that they start work with will try to keep them employed where that company has a job opportunity, or pass that spouse’s resume to another partner, encouraging them to hire the spouse,” she added. AUSA was happy to support MSEP in their marketing efforts, according to Bill Campbell, the Stuttgart AUSA first vice president and job fair organizer. “[MSEP is] expanding the things they’re doing, and staying here for several weeks in their first major outreach to U.S. Army Europe,” Campbell said. For some, meeting employers in this type of forum for the first time was daunting. “I was really nervous. I’ve never done this,” said Joel D’Agostino, an unemployed family member who was hoping to land a job working in logistics or multimedia. Other applicants were very comfortable. The companies were looking for people with a wide variety of backgrounds, and Stuttgart has a prime pool of skilled candidates separating from the military, said Gary Badertscher, a Stuttgart Chapter of the AUSA board member. 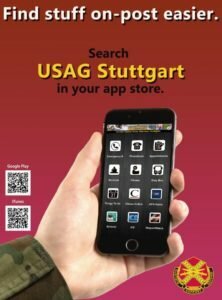 “The AUSA job fair was also held in the Heidelberg and Kaiserslautern military communities. For more about the Military Spouse Employment Partnership, go to www.msepjob.com. For more on the Spouse Education and Career Opportunities program, visit www.militaryonesource.mil.